This is one of Luke Wilbur's studies of Springtime flowers in Washington. 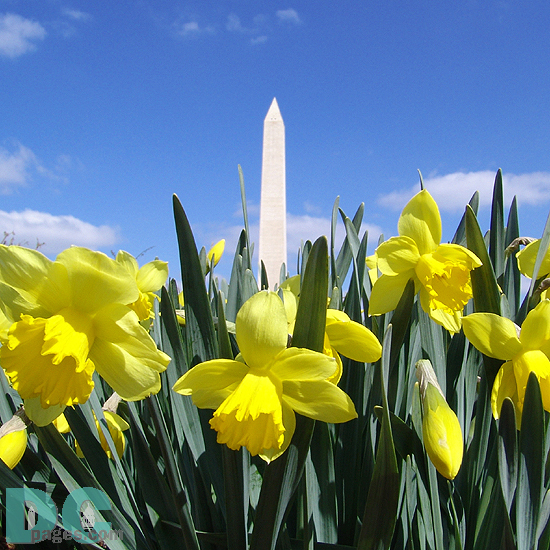 This limited edition photo art print depicts a Daffodil flower view of the Washington Monument. The daffodil was chosen as plant around the National Mall because of its reputation as a hardy annual flower, pushing its way through the frozen earth after a long winter to herald the return of Spring, new life, vitality and growth. Washington Monument in Early Spring art print is Approximately 11"x14" without the DCpages watermark. Luke Wilbur's signature is on the back. This patriotic and evocative picture would fit into any home or office.